Today, Inclusion at Deloitte focuses on authenticity, well-being, openness, and opportunities for all of our people. This broader definition of inclusion allows us to bring a wide range of thinking, perspectives, and experiences that build intellectual and creative advantage, even as needs and priorities evolve over time. Inclusion goes beyond traditional demographics and representation, it's how we invite, encourage, and draw on the unique perspectives of our people. By exploring individual viewpoints with genuine interest and openness, we can better engage our people and match them to the most meaningful opportunities. While we've made great progress and have been recognized for our innovative approach to inclusion, we aren't done yet! Just as we have always done, we continue to look for opportunities to lead the way and evolve our thinking. Whether it’s raising capital in Mumbai or hedging currencies in Stockholm, the powerful combination of Bank of America Merrill Lynch means we can do more for our clients than any other financial services firm. We understand the challenges our clients face around the world, and we tap the full resources of our company to help them achieve their goals. Our solutions span the complete range of advisory, capital raising, banking, treasury and liquidity, sales and trading, and research capabilities. Bloomberg, the global business and financial information and news leader, gives influential decision makers a critical edge by connecting them to a dynamic network of information, people and ideas. The company’s strength delivering data, news and analytics through innovative technology, quickly and accurately is at the core of the Bloomberg Professional service, which provides real time financial information to approximately 325,000 subscribers globally. Diversity & Inclusion at Bloomberg is our commitment to fostering an inclusive culture where employees feel respected for their diversity and empowered to impact the business globally. Bloomberg Women’s Community connects and supports women at Bloomberg through awareness, relationship-building and career development. The Bloomberg Women in Technology group encourages women to be leaders in technology and focuses on supporting leadership development, recruitment and retention efforts within the company, as well as mentoring young women pursuing STEM educational and career paths. Credit Suisse aims to be the employer of choice by attracting and retaining the best and most diverse talent. Our diversity strategy is based on the idea of "engaging difference": leveraging the diverse perspectives of all of our employees to achieve our business goals. We're building a talent-driven culture, where the best people—regardless of their race, gender, age, sexual orientation, gender identity or religion or nationality—are free to realize their full potential. "Womenomics - Write Your Own Rules for Success"
AWN Executive Series: "Managing Your Career in Challenging Times"
Our commitment to fostering the careers of women is demonstrated by the fact that we have been recognized for multiple consecutive years by Working Mother Magazine as among the "100 Best Companies for Working Mothers." DaVita Inc. is a Fortune 200® company that provides a variety of health care services to patient populations throughout the United States and abroad. DaVita Kidney Care is a leading provider of kidney care in the United States, delivering dialysis services to patients with chronic kidney failure and end stage renal disease. As of December 31, 2017, DaVita Kidney Care operated or provided administrative services at 2,510 outpatient dialysis centers located in the United States serving approximately 198,000 patients. The company also operated 237 outpatient dialysis centers located in 11 countries outside the United States. DaVita Kidney Care supports numerous programs dedicated to creating positive, sustainable change in communities around the world. The company's leadership development initiatives and social responsibility efforts have been recognized by Fortune, Modern Healthcare, Newsweek and WorldBlu. With 21 female faculty members and more than 6,400 alumnae, Duke’s Fuqua School of Business offers women tremendous opportunities for both learning and networking. Named Fuqua's 2018 Club of the Year, The Association of Women in Business (AWIB) hosts a variety of events throughout the year, including career panels, a speaker series, and their annual Women’s Leadership Conference as well as social activities such as brunches, and mixers. 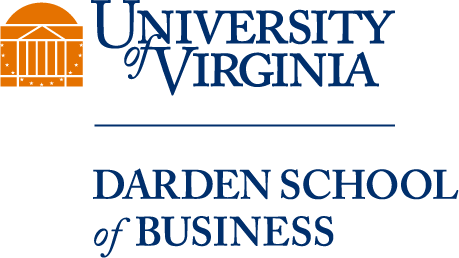 The University of Virginia Darden School of Business is one of the world's leading business schools, offering MBA, PhD and Executive Education programs. The unique Darden experience combines the best educational experience, featuring the case method of teaching; the highest-ranked faculty, whose research advances global managerial practice and business education; and a dynamic, global network of students, faculty, staff and alumni. These three key elements come together to develop entrepreneurial, global and responsible leaders who step forward to improve the world. Furthermore, Darden’s chapter of Graduate Women in Business (GWIB) connects, empowers, and celebrates the next generation of women leaders and helps build awareness of women in leadership positions. Throughout the year, they engage students, alumnae, faculty and prospective students in activities ranging from senior speaker series to golf lessons to mentoring programs. Moreover, GWIB’s goal is to use education, coaching, networking, and mentoring to foster a lifelong community that enables and empowers Darden women to achieve their professional and personal aspirations, both during and after their time at Darden. In addition, Darden is one of the few MBA programs that provide dedicated lifelong career services resources for its alumni. The Alumni Career Services staff understands the career path of a woman may not always look like that of her male counterparts. Our professional staff provides Darden alumnae with resources and support as they move through different phases of their careers.